Welcome to our first Newsletter of 2011. We have been experiencing very spring-like weather recently with temperatures reaching 22°C under the blue skies and sunshine with the almond trees in blossom and the mimosa trees already bursting into bright yellow. This month we have articles on the historical engineering wonders grouped near Montady, Sarkozy’s controversial stand against immigrants and how to beat those high mobile tariffs. As usual we present our featured properties. In this edition we have included articles on how to reregister your UK car in France, what you need to know if you are planning to run a Chambres d’Hôtes or Gîtes business and information about hiking in the region. You can now find us on Facebook in addition to our Blog via our website. Whether moving to France permanently or spending a lot of time down here, you will no doubt have a car, and have possibly brought your beloved and trusted char-à-banc with you from the UK. Or maybe you have realised how much cheaper it is at the moment to buy a second hand car in the UK than France. If so, then there are two things you really must do: 1) register it in France so that 2) you can get it insured. It is unlikely that you will find an insurance company who will insure your UK registered car in France and almost as hard to find a UK firm who will permanently insure your car over here. At some point a decision has to be made - is this car staying in France for more than one month of the year (or stretching the letter of law, six months)? If the answer is yes then you must unpack your pragmatism, your administrative/bureaucratic head and a sense of humour. Oh yes, and a sunny, optimistic disposition with endless patience thrown in. You will no doubt hear countless tales of woe on this subject, but, if you make sure you get all the forms and paperwork right, it might take longer than you could imagine, but you will get your carte grise for your car. Here is your step by step guide of what to do. It is worth checking with your local Town Hall (mairie) first in case the procedures are different or contact your local DRIRE office (Direction Régionale de L’Industrie, de la Recherche et de l’Environnement) who will send you a check-list of the documents required to register your car. You should also check with your insurance company as right hand drive cars can cost more to insure than left hand ones. 1. The first thing to do is notify the DVLA by filling in section C of your V5 Registration Document and send it to the DVA office. They will send you a Certificate of Permanent Export or V561 (certificat de régularité fiscale). 3. Get a Certificate of Conformity (attestation de conformité) from the car’s manufacturer that states the vehicle passes EU safety standards. This must be in French. For modern cars this should be no problem but it could get more complicated for vintage or classic cars. In France you will be charged up to €200, or you can take it to your local DRIRE and you will be charged up to €100. 4. You need to go to your local tax office (Centre des Impots) and take all your vehicle documents and proof of identity with you. They will give you a Certificate of Acquisition to prove that the vehicle belongs to you and that there are no taxes due on it (VAT or customs duty). 5. You need to get the French equivalent of an MOT (controle technique) if your car is more than 4 years old. This will cost €65-100 and you will need to take the certificate of conformity, proof of address, proof of identity and V5C. As a minimum you will have to have the headlights adjusted (certain makes of car have this facility built in). Most garages will be able to do this for you but expect to pay up to €800. 6. Take all the above down to your main Prefecture or Sous-Prefecture (normally in your nearest main town). Registration request form (demande de certificat d’immatriculation) which you can get at your local prefecture or target="_blank" rel="nofollow" href="http://vosdroits.servicepublic.fr/particuliers/R13567.xhtml">download on the internet. 7. Prepare to queue and be prepared to be sent away to try again another day ! Alternatively you could send it all by post but send it by recorded delivery (avis de reception). 8. You will be asked to pay a fee which varies according to engine size. 9. After several weeks you will eventually be informed that your new registration documents (carte grise) are ready for collection from the Prefecture. Take all your documents with you again, just in case. If you did all this by post, then they will send it to your address in France. It is worth making a few photocopies of all your documents as they will take some of the originals from you and may ask for copies of others. Your vehicle will be issued with a new registration number (immatriculation) and you will need to have new number plates fitted (up to €50). The moral of this story, having spoken to several people who have gone through this, is to weigh up the pros and cons of it all - the costs of insurance, headlights, controle technique, fees and your valuable time against any savings in purchase price (and the wear and tear on your patience) - before making a decision whether to import a car from the UK car or simply buying one in France. Good Samaritan laws take their name from a parable told by Jesus (Luke 10:25-37). It recounts the aid given by one traveler to another who had been beaten and robbed by bandits. In many countries the law is designed to protect those who try and help someone from any legal repercussions should they make a mistake. They are intended to reduce bystanders' hesitation to assist for fear of litigation - a sad fact of the world we live in today. However in France you could face prosecution if you don’t help as it is a legal requirement to assist someone who is injured. The law here states you have a duty to rescue or aid someone. So remember, in France, you cannot pass by on the other side ! Until now, warey pedestrians would lurk by the roadside weighing up their chances of getting across in one piece and looking at drivers who stopped to let them cross with expressions ranging from astonishment to open hostility. In November 2010 new rules were brought in giving pedestrians priority over cars when crossing a road, and not just at specially designated crossings. They must show a clear intention to cross and vehicles are required to stop for them or face a fine of €135 or four points on their licence. It may take a while for this to catch on, so don’t be upset if you get ‘the look’ from pedestrians if you have been considerate enough to stop to let them cross. People buying properties in this region make a conscious decision to invest for the long term in the area. Among the many advantages Languedoc-Roussillon has to offer, our clients are attracted by the authentic lifestyle, climate, culture, fresh food, as well as the diversity of wine in the largest wine growing area of the world. There is a good infrastructure with easy accessibility and the region is growing in popularity with both the French and foreigners alike. For these reasons, this area did NOT suffer during the crisis as many other areas have done. Stable prices and a sustained demand make the Languedoc-Roussillon a safe investment and allows us to organise 100% mortgages for our clients!! As the weather improves and Spring is popping up all over the place, now is the perfect time for walks and for taking in all the spectacular and breathtaking scenery that Languedoc-Roussillon has to offer. Alternatively, there are numerous guide books and sites on the internet, for example, www.everytrail.com, that list out various trails, their length, difficulty and an approximate time to complete it. You can buy maps and guides in most book shops and it is worth enquiring at your local Mairie for details of walking groups in your area (clubs de randonneur). Most walks are clearly marked out on trees and stones along the way, and before you set off, you will usually find a map of the route at the starting point. All of these walks are listed in the 'Topo Guides' which you can find at the tourist office. There are several companies that organise group holidays for 14-20 people. All your accommodation and meals are arranged for you and your luggage is collected in the morning and taken to the next destination while you spend the day walking, taking in the scenery and visiting sites of interest along the way. Here is just one of several sites that can be found by a simple search on the internet www.walking-languedoc.com. So, go and dig out your walking boots, a small ruck sack and get out there to enjoy the fabulous weather and wonderful scenery ! An increasing number of our clients, keen to get out of the rat race but still needing to generate an income, look to incorporating a business within their search for a home and a new life under the Mediterranean sun. Running a Chambres d’Hôtes (bed & breakfast) or Gîtes (self-contained accommodation) is a popular option and if this is indeed the route you are planning, there are a few things that you need to be aware of. Firstly, you must declare and register yourself at your local Mairie. If you are discovered at a later date without registering you will face a hefty fine. The Mairie must also be notified as and when there are any changes, such as the number of rooms for letting or opening times. Next you need to decide how many rooms you are going to let and on what basis. If they are in your home, you can have a maximum of five bedrooms (providing accommodation for up to 15 people) and you can call yourself a Chambres d’Hôtes. More than that, you would be considered a hotel where there are stricter rules on things such as health and safety requirements, for example. If you want to get into the French health system, you will need to register the business and pay social security contributions. There are certain tax advantages if you purchase the property through an SCI and run the company through a SARL. You should seek professional guidance from an accountant on this. Infact, as you will be paying social charges and possibly income tax on the rental income you receive (depending on how much you earn) you should get an accountant as it can be a little bewildering to begin with. You need to think carefully about the location of the property to buy, as a Chambres d'Hôtes (B&B) benefits from passing trade and your guests will want to be close to restaurants and tourist attractions. You need to be able to put up a visible sign and advertise extensively in the local area and on the internet. You should have a good website with lovely photos that really set your business off to its best advantage. The definition of a Chambres d'Hôtes is that you are providing a bedroom inside your home on a night-by night basis with linen provided and breakfast included in the price. You need to do your research and see what else is offered in the area and make sure that your prices are competitive. Alternatively, Gîtes are sometimes better located in rural areas and certainly those with a swimming pool can charge more. There are very strict rules regarding pools and their safety in France which must be adhered to. 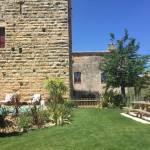 Gîtes appeal to families and couples, particularly if they offer a taste of French life. Or perhaps target certain guests by emphasising, for example, plenty of childrens’ activities, or bird watching / painting hoidays etc. A Gîte is a house, cottage or selfcontained accommodation that is independent from the owner's house. It is available to rent for a few days or weekly periods and the changeover day is usually on a Saturday. Either you provide the bed linen and towels or guests bring their own and must clean the Gîte at the end of their stay. You can provide an evening meal as long as it is effectively the guest joining you at the family table and eating whatever is presented. If you start producing a menu and a separate dining area for guests you move into the realms of a restaurant where a whole new set of rules apply, including the provision of alcoholic drinks. 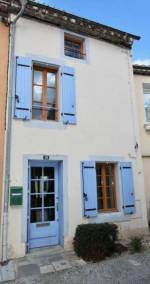 Before a rental property may display the official Gîte de France emblem, it must satisfy certain standards established by the Fédération which rates the Gîtes by ears of corns (épis) from one to five. From a practical point of view also consider that you will be cleaning rooms, changing beds and washing sheets and towels on a potentially daily basis with a Chambres d'Hôtes but perhaps just once a week with a Gîte. Another option is to make your holiday home pay for itself by letting it out when you are not using it. If you do not live near the holiday property, you will need employ a good local agent who can check your visitors in and out, arrange cleaning, routine repairs and replacements and keep an eye on the property when it is not occupied. A good agent will be able to take over all the administration on your behalf as you must provide a written rental agreement (in French) where all the terms of rental are clearly agreed and includes an inventory, rental deposit, damage deposit, rental price, cancellation policy, rules of the house, etc. You will also need to take out appropriate insurance to make sure that your property is properly covered for holiday lettings.